I've been so bad about posting awards & passing them on... I truly am thankful & try to send a thank you on your blogs if you have sent me one - but I'm going to try & catch up!!! So my latest award was from Megan from INfertile Myrtle who is awesome! I recently have been following her & she just makes me smile! You'll have to go visit as she's reaching her milestone 100th post!!! The rules of this award are no rules... love that! Love the word LOVELY too... such a fun word! Thanks Megan! I also received an award from another friend that I just love... could it be the name?... its everything about her! Its from Rebecca at Wife of Riley! She gave me the BEST BLOG of 2008! That really made me happy!!! And the award has a doggie on it to boot - THANKS! You have to visit her husband as well - he has his own blog... they are the cutest couple! And if you are a Mr. Depp fan... check it out every Monday! I dont know how she keeps coming up with different pictures! 1. Link to the person who tagged you -YO ANNIE!! 3. Tell 6 things about yourself. 4. Tag 6 other bloggers by linking to them. 1. I am becoming addicted to ALMONDS! I cant get enough! Ricky came home the other day late & he thought I'd be mad at him. So instead of stopping & getting chocolate or flowers - he brought me home some almonds! And not only one but TWO cans - a regular salted kinds & then honey roasted... all was forgiven! 2. As mentioned - I am trying to follow the Fly Lady's idea of keeping the house clean. Seems easy enough - 15 minute times of cleaning & daily challenges - breaking the house into "zones"... so far, after 2 weeks, I've seen some progress! Anyone else FLY? 6. I really wish I was rich so I could take a Disney trip with my nieces..... they are 4 years old & into all things Princess & Tinkerbell. To see it through their eyes would be so amazing! I cant wait until the day we get to go with Isaac too!!!! Disney World is fun as it is - but to see it through children's eyes has to be just a whole new level! So who do I tag? I'm going to tag some of my friends that have been blog slackers lately... get them going again! (Except my friend Lynn - she's always got awesome stuff on her blog - check her out! 1. Lynn - if you haven't gone there - you must go now! 2. Julie - our oldest who is far far away in Texas... sigh!...come back home Julie!!!! 3. Kim - my friend who just because she owns her own business, is a mom & is going to school... you think you're too busy to blog? This will be a fun thing for you to get a break! 4. Rachel - who is Lynn's daughter & is just the funniest person I have met in a long time! I love people who make me laugh! 5. Chandra - Lynn's OTHER daughter! She's awesome too - such a great mommy - you gotta see her two blondie babies - they are super cute - & growing so fast! 6. Carly - Finally Lynn's LAST daughter - her last post was on Oct 28th? Seriously??? Here's something for you to do Carly! Lets learn more about your teenage life! So thanks everyone for awards & tags... love them all... truly appreciate it... am always amazed that people take the time to see what's going on in my little life & to see whats on my mind! For that reason alone - I thank YOU ALL!!!!! Loved learning more about you. Keep up the good hard work at running. You'll get there! Don't give up. Me heart almonds =) YUMMEE!!! And they are so good for you too --double bonus!! Thanks for the tag Sister Friend... hmmm... my daughters are ALL slackers in the blogging world? Guess I'll just have to let you whip them into shape... years of ME trying seem to have failed! I love almonds too, but the last time I ate one I broke my tooth and it cost me $1200. I like em, but not that much! . . .Congrat's on all your Awards. You're abviously a Winner! I'm a Newbie. Please stop by to say "hello" sometime! 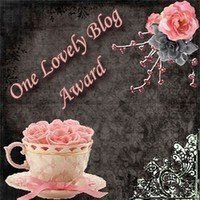 I'm excited because I've read all three of the blogs that awarded you! 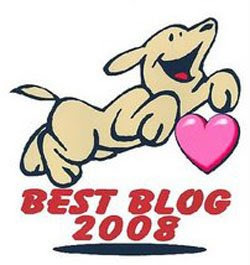 All great blogs! Dropping by from SITS~ hope your "hangover" gets better with a nap! flylady is great but the abundance of emails really stresses me out. thanks for the birthday wishes the other day.